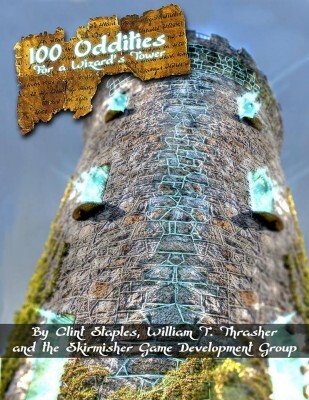 Welcome to 100 Oddities for a Wizard's Tower, the fifth entry in the “Oddities” series of sourcebooks, each of which brings you 100 imaginative elements, curios, and details to add to your games, in whatever way you like. We've got a 2016 sale going on! Spend $20 and save 16%! 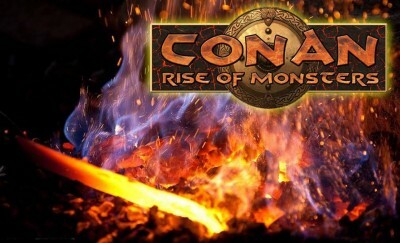 Reforging CROM! We're hard at it, perfecting our new approach with Reaper and our manufacturers to make the reboot the best it can be. We'll soon have new photos and videos to share, along with the updated product mix heading toward our new Kickstarter later this Spring. Chemistry Teacher and general science lover Jason Goudie has just released his new chemistry inspired drafting game Chemical Spill on kickstarter. 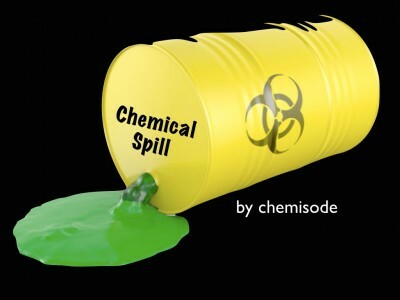 Already 80% funded Chemical Spill is a simple, yet fun drafting card game that can be used both inside a classroom or on the boardgame tables of the most hard-core gaming fans. The idea is simple: Chemicals are spilled and each player gets 10 cards each. They are allowed to 'cleanup' one card before the rest are washed to the next player for the next round. Each round players select one card from the cards passed to them and continue to pass until all cards are chosen. Massive Awesome have announced the release date for their hotly-anticipated post-apocalyptic skirmish game Shattered Earth. 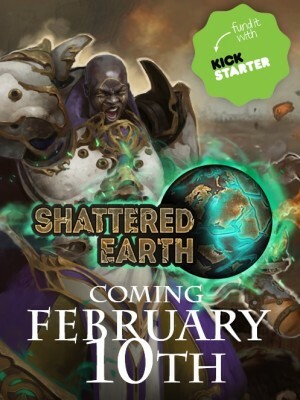 The game will launch on Kickstarter on February 10th, with a preview of the campaign being made available a few days beforehand. HAPPY NEW YEAR FOLKS! I'm kicking off this year with a 15% off sale until the 10th of Jan. So if you have minis that need resin bases then come over and check out my store. this week we present to you the second section of our infantry squad. These soldiers are laying down heavy fire to pin down or to destroy the enemy. The machine gunner opens up from a standing position while his assistant stabilizes the weapon on his shoulder, holding the bipod. A rifleman kneels, pulling back the bolt to insert a new clip. 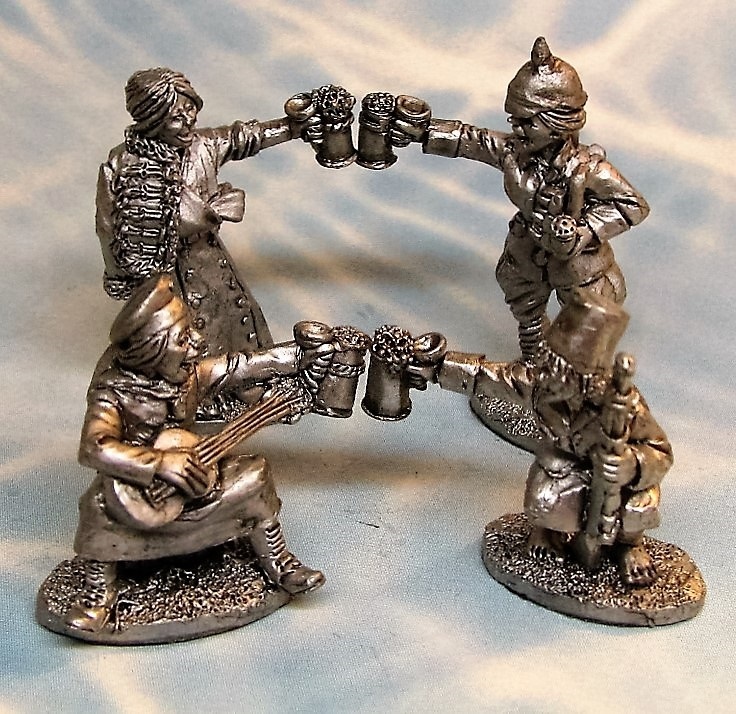 Another Panzergrenadier fires his Karabiner 98 rifle from a standing position, while the leader gives a hand signal. 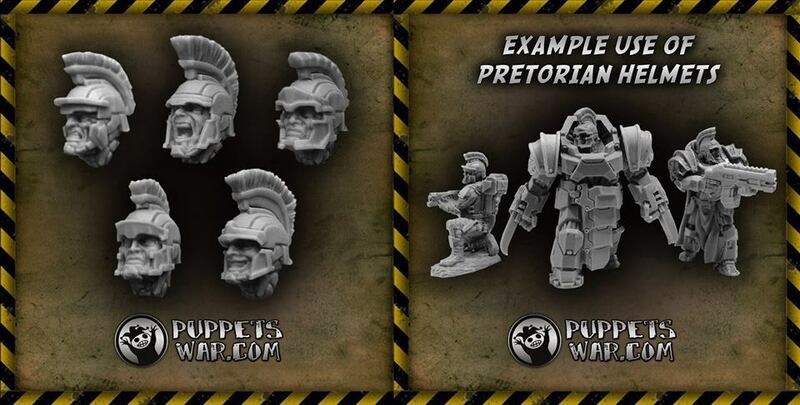 The five figures will be available for 9,90 € in February – but there will be bundles for even more bang for the buck! 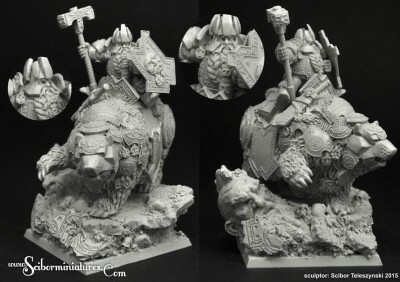 Also on the Blogs Front page are pages of free Army Lists. 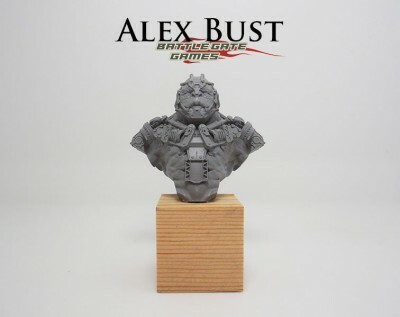 Alex Bust Releasing by battlegategames.Scale 1/10.High quality resin. 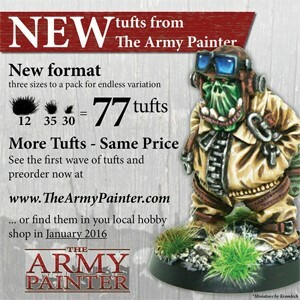 We kickstart 2016 with the first wave of our new line of Battlefields XP Tufts! Applying basing to your army is very important, as it binds the miniatures together as a coherent force with the same character and theme. This is often the last stage in your journey to a finished army and a very rewarding step that can be. We have redesigned our tufts range to make them easier to use, give you more tufts, in different sizes for variation, while maintaining the same price. 77 Tufts in different sizes; 12 large, 35 medium and 30 small. In hobby stores across the world by late January 2016 or available for pre-order from The Army Painter webstore. 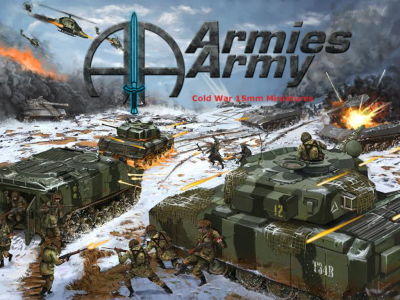 ArmiesArmy are proud to announce the opening of their Cold War Kickstarter. 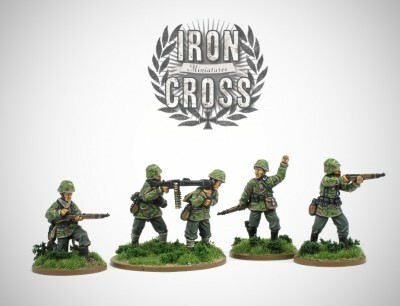 This kickstarter will be aimed at 15mm British Army and some Soviet VDV airborne troops. 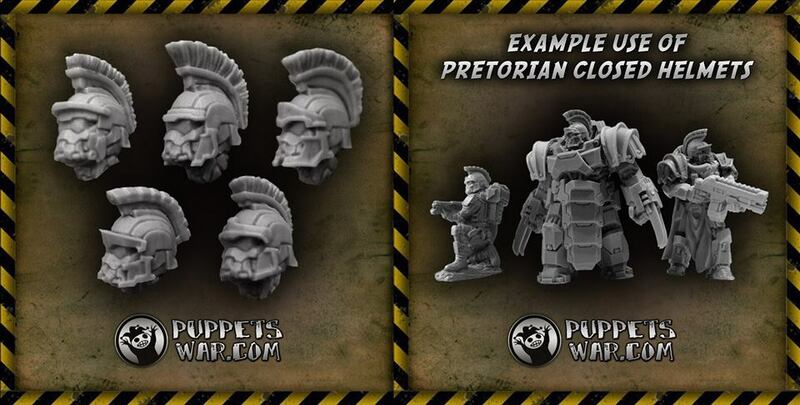 The troops will be sculpted in cold weather gear and representative of the late 70's, 80's and early 90's. They are probably useful even for some forces today in particular the VDV, which are ideal for most soviet winter troops. Burn In Designs is expanding its line of paint storage systems with a new wall mounting system for dropper bottle paints. 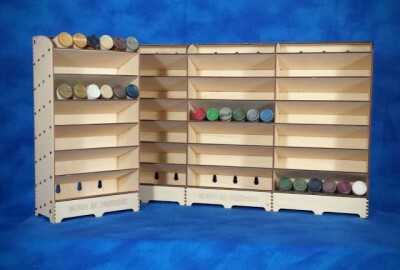 The units are available in 2 sizes 42 and 126 paint units. Each unit is pre-drilled for easy wall attachment and end to end stacking for a seamless appearance. Paints can be stored either direction for faster identification. As with all Burn In Designs kits custom engraving options are available. 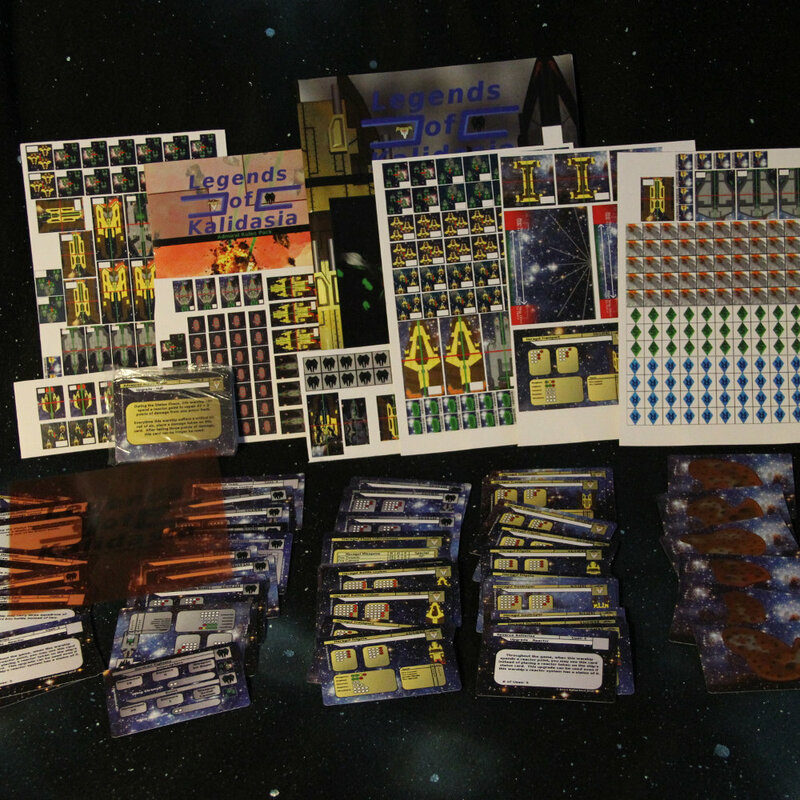 At Kalidasia Media Productions, we are starting off 2016 by lowering the prices on the Legends of Kalidasia starter sets. The Complete Battle Kit, which contains everything needed to play, is only $25. Rise of the Surakari Deluxe box set, which contains everything in the Complete Battle Kit plus four miniatures, is now $45. 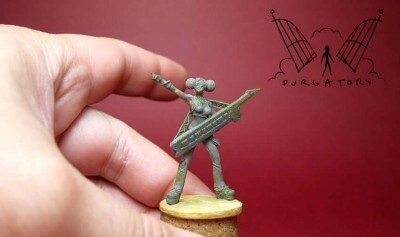 Alas, the year 2015 was a razed-earth-salted-fields kind of year for Hinterland Miniatures. However, 2016 is looking much better, with a collection of new releases now and others at the caster's. 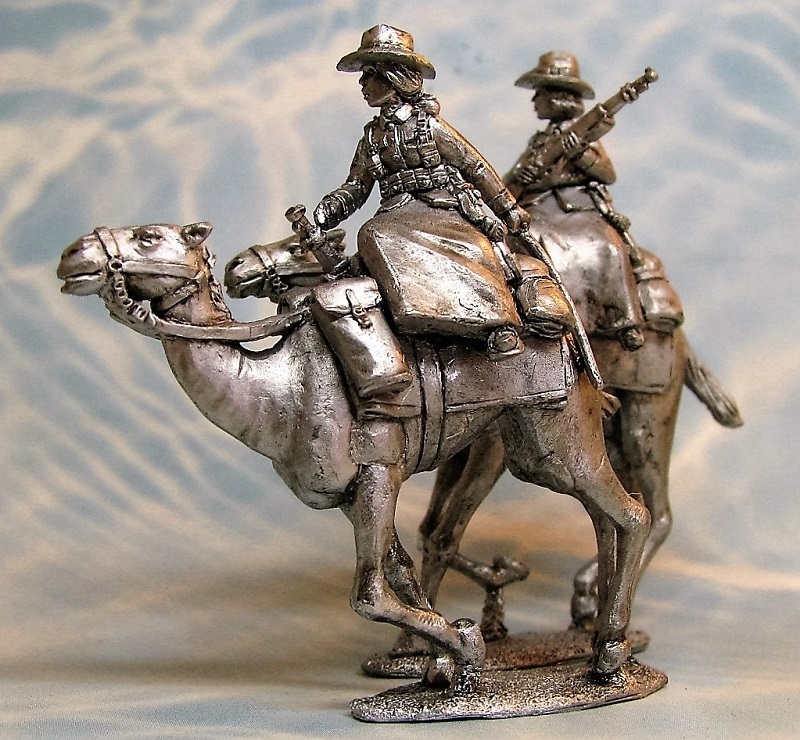 For the moment, please enjoy new Askari troops, a first pack of Schutztruppen Camel Corp, and a special celebration set. My thanks to my customers for their patience through 2015 - here's to a new year! 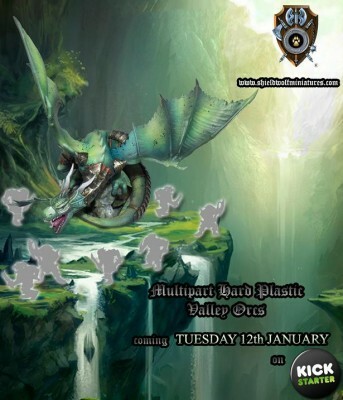 "Shieldwolf vs Orcs" is Shieldwolf Miniatures' 2nd Kickstarter, this time aiming to fund the multi-part plastic Shieldmaiden and Valley Orc kits. "War is Coming" army game has completed the second phase of testing and is being made available next week. For Free. 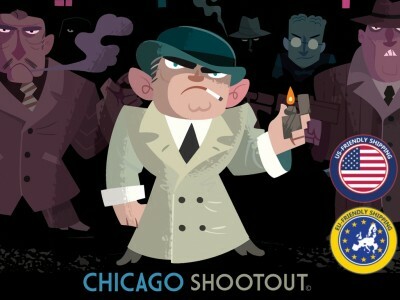 The game is a battle to become the true ruler of Chicago's underworld. You do that by winning control over districts. Play your hand wisely and you might just become the new boss in Chicago.